Where no less than 3 British, Prime Ministers tried and failed, Maggie Thatcher succeeded. Her predecessors couldn’t clean up the utter mess that post-World War 2, socialism-on-steroids made of Britain. The social welfare state had become too indulgent and public spending was out-of-control. By the late 70s, Britain was in a state of economic ruin and shutdown. Maggie did the clean job up, the very necessary clean up job, perhaps, some would say, a hatchet job. However, where others failed, she succeeded and has been hated for saving the economy, by many, ever since. What has been the public response to Margaret Thatcher’s death? Well, the Wizard of OZ song ‘Ding Dong! The Witch Is Dead‘ is climbing up to the No. 1 spot, for one. Apparently, a large portion of the nation is heaving a deep sigh of relief that Thatcherism is finally and unequivocally “dead and buried”. But, look back, why did the nation vote her in 3 times in a row, who were those rogue voters, if we are all seeming to be rejoicing in her demise? In her day, she was very popular, perhaps memories act like sieves at times? Regardless, Maggie Thatcher must be smiling with Machiavellian glee in her grave. She is still managing to extract bile and venom from her arch, political rivals, the Left Wing. The unbridled dislike and, even rage, that her name still conjurers 23 years after she left office must provide her with a smug sense of a job well done. She always was the consummate politician; a real pit fighter. Maggie really was the last, great, Conservative leader. She changed the fundamental philosophy of governance of Britain, and in cahoots with her great friend, President Ronald Reagan, to the world as a whole. Since her demise as Britain’s leader, politicians around the Western world have eschewed partisan politics. Most have clambered to embrace the wishy-washy, populist, fence sitting of the Centre. She has been a major factor in the destruction of both Right and (transparent) Left wing politics. I say “transparent” for the Left as the Left Wing is still very much Left leaning. They just hide behind rhetoric of the Centre. The socialist, Statist agenda of the Left is very much live and kicking. It’s pathfinders like ex-Prime Minister, Tony Blair, who just repackaged the same old philosophy into a much more palatable New Labour style. Labour’s agenda never really changed, it just became more subtle and sophisticated. They push Statism through uncomprehendable, non-transparent mechanisms such as the hugely costly and fruitless Carbon Tax. But, I digress. The point is, no self-respecting, populist politico would veer to one “extreme” or tother for fear of voicing a real opinion and becoming, heaven forbid, accountable. As Mitt Romney famously said during the U.S., 2012, Presidential election, 47% of Americans won’t vote for me anyway, they are net, state welfare dependents and won’t vote for tax cuts. In general though, both sides of the House are fighting for the swing voters in the Centre whether by false rhetoric (Left) or desperation (Right). So, I would claim Maggie was instrumental in the destruction of partisan politics. The West is riddled with hung parliaments, with marginal, minor league parities selling their deciding votes to the highest bidder. Thatcher was the last great and successful risk taker. I’m Right wing, take it or leave it. As stated in the Standard book of Left wing campaigning (Saul Alinsky’s Rules for Radicals), you’re standard ripost to dissenting voices is to demonise the person. Use ad hominen attacks on the person to besmirch their reputation, create unpopularity and avoid, at all costs, real debate. So, this juvenile, but successful, tactic has made Maggie the evil, destructor Iron Maiden (not just Iron Lady) with images of swastikas behind her. I agree by her third and final term, the Iron Lady (as coined by a Russian newspaper when she criticised the Soviet Block in ’76) was becoming a bit stayed. Perhaps, her alternative to “socialism-on-steroids”, “capitalism-on-steroids” was just as out-of-control as its predecessor. Capitalism lead to notable failures such as the Black Monday financial collapse of ’87 (which, as it happens, bankrupted my dad). Perhaps then, describing her reign as just “stayed” is a tad generous. Even her own Party eventually deemed her a “liability“? Moreover, when Thatcher proposed the hugely unpopular Poll Tax in’89, that was the straw that broke the camel’s back for many. That was never going to fly. The Poll Tax was a local authority, single flat-rate, per-capita tax on every adult; no sliding scale determined by wealth. That was just a little too Right Wing for even the generally pro-Thatcher Brits to palate, and rightfully so. However, all-in-all, she was a great; Winston Churchill, the last great, would be proud. She saved a desperate, sinking country (as he did 40 years earlier). The Falklands War of ’82 was a huge success for Margaret Thatcher and for the nation as a whole. Britain was a country in severe recession, with no “Great” left to justify its once illustrious name. The weakened British empire was taken for a ride by a equally weak and floundering dictator, General Leopoldo Galtieri of Argentina. He believed the British had no stomach left, or pride for that matter, and decided to take for Argentina something that never had been there’s, the Falkland Islands colony. If the home situation is looking tenuous, standard, military dictator practice is to unite the country against a common, foreign enemy; enter stage left, Britain and the piggy in the middle, the Falklands Islands. The conflict is a huge story unto its own. However, I would like to mention that this long-shot win for Maggie was more than just that. It was a huge win for British national pride as a whole. Ironically, the foreign affairs fracas was used as a tactic by General Galtieri to solve his domestic woes, but instead it destroyed him and secured his foes leadership. The win was a very important seed sown by Maggie to garner support for her own highly contentious, domestic, economic reforms. 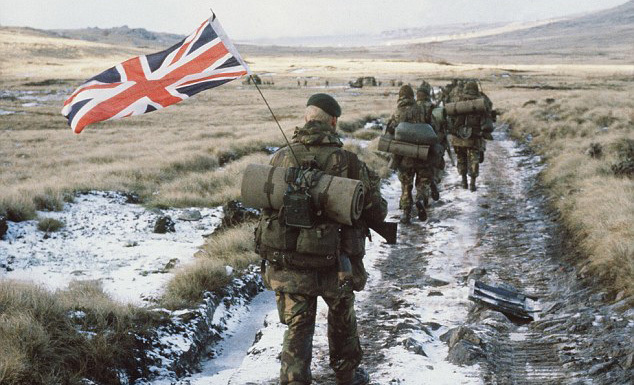 The fact that a close friend of mine, who survived the horrors of the hand-to-hand fighting of the Battle of Goose Green, is, in principle, anti-Falklands War these days is very lamentable. The anti-Maggie, Leftist ad hominen machine has been effective over the years. He, like many I know, believe the war to be an unjustifiable sham. A shame on British; selfish Imperialism. This is totally untrue. He should be very proud of his own achievements and what his actions stood for. Britain was not the aggressor and the Falklands were a pawn for a desperate dictator on the verge of over-throw by his own people. Shakespeare’s, Richard III, Act 1 Scene 1. Roy Hattersley, deputy leader of the Labour party from 1983 to 1992. Prime Minister Margaret Thatcher is one of those we love to hate. Reading today all the obituaries about her from various politicians from various persuasions around the world has been very insightful. I feel their sentiments, whether reverential from Right wingers or thinly veiled digs by many Left wingers is indicative of the people they represent. The Left say comments like they admire her for being the first, female, British leader, but taint any support with mentioning her somewhat “divisive” nature. The Right laud her for bringing free-market capitalism to Britain and saving the British economy. She was divisive and she was a pioneering capitalist of the Hayek and Friedman schools of economics. Don’t get me wrong, I’m not an unequivocal fan of free-market Banking and believer in “greed is good“. However, warts and all, it’s the best system we have. True, “divisive”, read having a strong opinion, is not currently, very popular. Weak, coalition governments and “consensus” politics in much more the norm. But, being opinionated can be a good thing at times. Consensus has its place, but sometimes hard decisions have to be made and that requires force of will and radical conviction. Thatcherism may well have run out of steam by the end of her tenure. But, remember her for earlier glories. She was the only woman, in a vehemently man’s world, to be able to break the stifling stranglehold of the unions and allow Britain to reclaim the prefix, “Great”. Where many others failed, she succeeded. She rescued Britain from the brink of the economic abyss and made her industrious once more. Not perfect, true, casualties yes, but eminently better that the economic wasteland it was. We have much to be thankful for. There is no shirking from the oft-forgotten fact: Socialism bankrupted Britain. Socialism created the mass poverty and sowed the seed for mass, trade union striking. 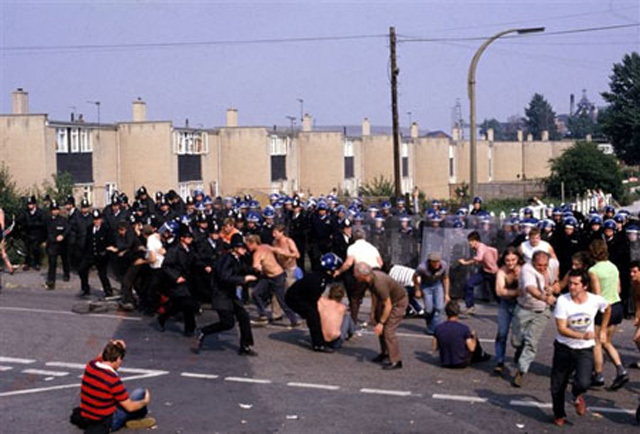 Long-term, out-of-control, governmental handouts to cronies such as the unions created Britain’s woes. Maggie didn’t destroy the mining communities, ultimately, the union bosses did. Many people have always resented her for the strikes. However, the blame lies squarely on the fiscal recklessness of the Labour movement. The green grocer’s daughter from Up North did the hatchet job to fix up a Socialist, social problem and has taken the blame ever since. Interestingly, when Labour’s Tony Blair finally came to power in ’97, and he had a chance to radically, reverse her policies, he didn’t – the essence of Thatcherism, foibles and all, lives on. The much hyped “consensus of scientists”, that first brought us the phenomenon that is Global Warming (namely the IPCC), are changing their long sung tune. Hot off the press, they themselves now claim Global Warming is NOT catastrophic and their alarmist models, which underlie this long-touted theory, are wrong. The threat and fear of catastrophic Global Warming has been bandied around in Western democracies for 20 years now. It’s not just a scientific debate, but has been pivotal in setting governmental, fiscal policy. In the E.U., California and Australia, especially, we have seen the implementation of some of the most extensive and expensive Green Tech. subsidies schemes in the world. For instance, Australia used to have one of the cheapest energy markets in the world now, now we’re 3rd highest. Cheap energy is a fundamental building block of an economy and to unnecessarily increase it seems foolhardy. The governmental policy of Carbon Taxation has been implemented ostensibly to combat the harmful, environmental effects of Global Warming. The effects of these abatement policies are direct and substantive on all facets of the global economy; adding significant costs to both business and to you-and-I. Thus, the discovery that there may well be drastic changes to these policies is highly relevant to us all. To that end, here’s a round-up of the huge changes occurring in the elusive world of Global Warming. Have you heard about these in the mass media already? No, me neither. As per all things that may be contra the polemic of Global Warming belief, skepticism is rarely published in the mass media. The online, internet story is very different, however, and there is a mass of news floating around the academic community, which discusses the pros and cons of Global Warming theory. Well, here’s a quick synopsis for you of the latest trend in the debate. It seems that the pro-“Global Warming” stance is in major reversal now. Perhaps, there’s even a total unwinding of it occurring. This is being directed from the very top – the U.N. and thus ultimately the U.S. government. Here are three news items, that in isolation may be seen as a blip, but, in unison, are very remarkable indeed. The latest, UN-sponsored Climate Conference (COP18) has just been held in Doha, Qatar. The famous “thousands of scientists”, who purportedly constituted the “consensus on Global Warming” known as the IPCC (Inter-Governmental Panel on Climate Change), were not, however, invited. The IPCC is a UN body, but, for the first time ever, the UN Climate Change conference no longer required their services. The IPCC chairman traditionally delivers the opening speech of the Climate Conference, he wasn’t invited this time to even spectate. Considering that the U.S. is the prime funder of the U.N., it would be quite plausible to believe it’s the U.S. that is pulling the funding rug from under the highly influential IPCC. Whether this directive is under the auspices of President Barack Obama or the House of Reps., who knows? Is it a political and philosophical manoeveur to sideline Global Warming and, thus Carbon Taxation, or is it a plain old, budget pinching exercise? However, motivations aside, this snub of the IPCC is quite extraordinary and unexpected. In response to this dis-invite, Dr Rajendra K Pachauri (Chairman of the IPCC) said in complete disbelief: “For the first time in the 18 years of COP, the IPCC will not be attending, because we have not been invited”. Instead of lambasting Big Oil for their purported, harmful environmental record, Climate leaders were extolling their virtues. That’s a turn up for the books alright. It appears that, not only have the UN’s IPCC been snubbed by the UN Climate Conference organisers, but they have also back-tracked very significantly in their message. Whether is retraction in their previously staunch beliefs is self-inspired for forced from their sponsors is an interesting question. Their spiel of the past 20 years is that we are heading towards an environmental calamity unless we abate our CO2 emissions. However, their latest, wide-ranging, Climate Change, report (IPCC draft report, AR5) does a complete about flip on this mantra. The report has also gone the huge step of the “game-changing admission of enhanced solar forcing”. Their models have always previously firmly ignored the influence of the sun as a climate driver, however it looks like the sun is back in the “hot spot”. 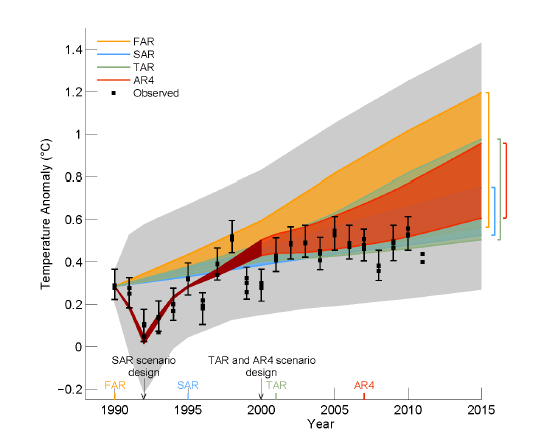 All of their very own, previous, climate models (“FAR,SAR,TAR,AR4” above) have been wrong according to the latest IPCC analysis. This is very significant to the whole Global Warming debate as these models are the pivotal evidence for predictions of catastrophic temperature rises. These climate models have always (since 1990) predicted a very high, global temperature trajectory. However, compare these models with the black, cat whiskers (“Observed”), which represents actual, global temperatures to date. In this backtest, how close were the models’ predictions to reality? Have the models missed the mark? Well, even the model makers, the IPCC, finally believe so. I say “finally” as this is not really, ground-breaking news to many. The evidence for their fundamental short-comings (ignoring the sun as a climate driver would be a fair start) has been known for years. 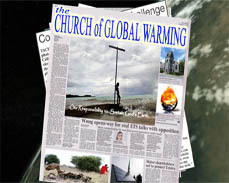 If you want to delve into the science of Global Warming and thus the reason why I felt the need to compile a vast swathe of it into a movie, then please check out the Church of Global Warming. However, what I’m describing here has very little to do with the science. The whole of the Global Warming phenomenon is, and always has been, about Money. The threat of environmentally, catastrophic Global Warming has spurred us to implement massive Carbon Taxes around the Western World. It’s always been the “excuse” to raise taxation, plain and simple, and that’s why many politicians have been happy to readily embraced it. True, there is a large body of scientists out there that have, and still do, believe in Global Warming. But, the fact that a single scientific theory (or, technically, an unproven hypothesis) has so heavily swayed politics and fiscal policy for 20 years is pretty remarkable. The Inconvenient Truth about Global Warming fears is very Convenient for politicians, who are generally happy to spend your money on your behalf, instead of you having to do it. The Man Behind the Mask. Who is Barack Obama? A week on from the much anticipated and hyped U.S. election result, I have noticed a pretty unanimous, recurring theme from friends and colleagues: relief. Relief that it’s over, but also great relief that Barack Obama won. Barack Obama is a charismatic and popular winner, but do you really know what he stands for? Who is Man Behind the Mask? The man behind “Barry” Obama (his childhood name) is largely revealed by his own writings in his autobiography: “Dreams from My Father: A Story of Race and Inheritance”. He is a very popular figure around the world: not only did he win a second term in the White House, but, more importantly, my own Facebook feed of friends (inc. Arab ones) went crazy with rejoicing on hearing this. annual Deficit from $160 bil to $1 trill. The most positive spin you could put on Obama’s personal economic record is that it is en par with that of the one he inherited from George W. Bush. The Democrat lead Congress from 2007 started the deficits trend and thus their policies could be excluded from President Obama’s record. In addition, the significant costs associated with the GFC stimulus package and the War on Terror complicate the analysis. However, 4 years of presidency and no improvement is hardly a good news story? His favourite TV show is Homeland, and for a very good reason, it is good. I watched 4 episodes myself last night. It is also very sympathetic to the Muslin Jihadist cause as it is anti American ignorance; the “ignorance” being U.S. foreign policy. The War on Terror is the central theme of both series 1 + 2. The collateral damage from a drone killing (innocent kids being killed) is the primary premise that justifies the actions of a U.S. marine turning on his own country, joining the Jihad, and trying to blow up his own Vice President. What’s this got to do with the price of bread? 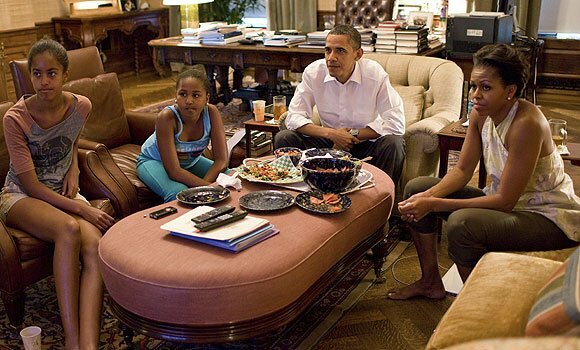 Well, Obama’s favourite TV show is actually insightful and corroborates what he wrote in his autobiography. He doesn’t really like America; definitely not the American Dream of the past 250 years. James Truslow Adams in 1931 stated this Dream as: “life should be better and richer and fuller for everyone, with opportunity for each according to ability or achievement” regardless of social class or circumstances of birth. This Dream is individualistic, opportunistic and meritocratic. If forces of oppression cross paths with this philosophy then the Dream is voraciously defended. When the U.S. invaded Afghanistan to ostensibly oust the repressive Taliban regime, they cited its abuses against women as one of the reasons for the invasion. The U.S. defended the individual rights and freedoms of Afghans. However, this can be construed as interventionism and, as the U.S. is a Western power, colonialism. To Obama, this type of “interference” into foreign affairs classifies the U.S. as the last vestige of modern neocolonialism. Barack Obama’s dream is his “Dream from My Father” (Dreams from Barack Obama Sr.). He makes this very clear in his autobiography. This dream is to stop America from being the sole-remaining, interfering, global Superpower and instead empower the Developing World. Leveling the playing field is a good socialist dream, that, in a perfect, incorruptible, utopic world could easily and successfully be achieved. However, If you believe that governments run the lives of people better than people run their own lives, then Obama’s Dream and vision for the American future may also be yours? Do remember, though, that there is a price, and in Obama’s eyes a colonial debt, to be paid to achieve this aim. There will be a phenomenal redistribution of wealth from the Developed to the Developing World to balance the books. In addition to the above article, “How Obama Thinks”, which I believe sums up D’Souza’s position on Obama well, you can view his recent documentary movie which expands his ideas further. However, with Obama, and his fellow Democrats’, questionable record of the past 4+ years (official unemployment still at 7.8% but real up at 19.9%, debt ceiling from $6 trillion to $16 trillion, 3 massive Quantitative Easings, annual Deficit from $160 bil to $1 trill), it was Romney’s to win. He didn’t though, so why? Ad hominen, caricaturing is the Democrats forte and admittedly the Republicans are terrible at responding to it. Thus, it was very effective in influencing the perceptions of the electorate. A win to the perhaps hilarious, but essentially meaningless, ad campaigns. Poor old Big Bird just ended up being collateral damage in one particular favourite. Talking Points Memo: What the Heck Happened Last Night? Romney and his campaign team played it safe and low-key. Presumably in the hope that the American public were just looking for a viable alternative to vote for instead of their under-performing incumbent, President Obama. Don’t make any big mistakes and the protest votes and desire for a new direction to solve the US economic malaise will hand you victory. However, this softly softly approach may have made Romney look indecisive and the fact that pretty much all natural disasters are good for leaders swung it for Obama in the last few days. It looks like we’re going to get more of the same from America. Unfortunately, unless President Obama dramatically changes tact, I can see this GFC unnecessarily lingering on for a while to come. Obamacare – health care the Swedes would be proud of? The U.S. health system gets a lot of flack around the world. Micheal Moore, specifically in his doco SiCKO, would presumably like to take much of the credit as Chief Critic. He revealed the truth about the only remaining super-power’s ignominious medical “fail”. He emphatically told us he had to seek out the sanctuary of the devil, Fidel’s, Cuba, to get decent health care for the 9/11 rescue workers under his wing. He quite convincingly told us of the rot that has set in to the American Dream: high cost, low quality medicine. As for the poor, these poor guys don’t even get a look in… We’ve all heard the spin, but is this really true? To illustrate the point, please take the time to read this paper by Prof. Brad Wright, which a doctor friend of mine directed me to recently. We were chewing the fat and discussing the relative merits of the U.S., health care, system over a drink a few nights back. In the cold heart of the following day, he flicked us this paper to add some facts and figures to the rhetoric. So, have a read. Michael Moore would most certainly endorse the paper; private sector in the U.S. equals bad, public sector in Sweden equals good. But, the question is, should we head this version of the “truth” or take it with a pinch of salt? So, perhaps, the highly controversial and commonly cited, 45 million “Gap” was a slight misrepresentation and exaggeration of the real numbers at risk? The U.S. system is not perfect and that’s why luckily there are actually 50 different, State level systems out there. Whilst, some need overhauling (as seen by Romney Care in Massachusetts), some are the finest models in the world. Obamacare is a socialist model, which will be run by 15, non-elected, Obama cronies (the Independent Payment Advisory Board) from Washington. This central planning model sounds alright in theory perhaps, but, in practice, if history is anything to go by, it doesn’t work. Obamacare is predominantly unpopular (in the U.S. at least). This is demonstrated by the fact that Obama’s own election campaign team has carefully avoided mentioning it where possible. This is Obama’s single, largest piece of legislation in his 4 years of tenure. His Pièce de résistance. However, all we can see of it in his re-election campaign adverts is tumble weed blowing in the wind. Obamacare is incomprehensible, no one knows what it represents; except, a general Nationalisation of the system. In an Obamacare world, you don’t need to pay insurance premiums. All patients with pre-existing conditions must be accepted by a health fund at any time. Thus, everyone will stop paying premiums, wait for the heart attack, sign up for a month during the transplant then leave again. Why pay more than you have to? –err, this is not a sustainable system. That’s not really how the concept of insurance works. There are problems with the U.S. system, for sure, and it does indeed need reform. It is expensive, Americans pay 15% of GDP whilst Swedes pay 9%. Not really bang for buck perhaps? The reforms need to centre on the oft-cited “45 million” people, who fall through the safety net of the system. However, the “huge” 15% cost is not actually due to any fault of the doctors, but by their compatriots, the lawyers (like Obama himself). These Law Firm lobby groups (eg American Association for Justice), that are mostly Democrat sponsors, have helped block reform since Jimmy Carter. They have actively encouraged the highly convoluted, legal framework around medicine and the resulting super-payoff, malpractice suits that occur when breached. It’s purely self-serving, jobs for the boys. Simplify the laws, constrain malpractice payouts and then the doctors won’t have to over-treat the patients with inane tests to cover their potential liabilities all the time. That is the real reform that is needed. Does Obamacare do this? – sadly, no, even the pro-Obama, Left-leaning CNN has noted that Obamacare is fully endorsed by associations such as the American Association for Justice and does no such thing as curtail the legal excesses. Shame that. It’s an opportunity missed. The association [American Association for Justice] is also a large contributor to President Barack Obama’s re-election campaign. It is opposed to malpractice tort reform, for obvious reasons, and I suspect that it may have played a significant role in the absence of malpractice liability reform in the Affordable Care Act [Obamacare]. by Dr. Anthony Youn, for CNN. A recent survey of 1,214 orthopedic surgeons found that 30% of the tests they ordered didn’t help patients, and were mainly aimed at reducing exposure to liability suits. by Kevin Pho, for CNN. 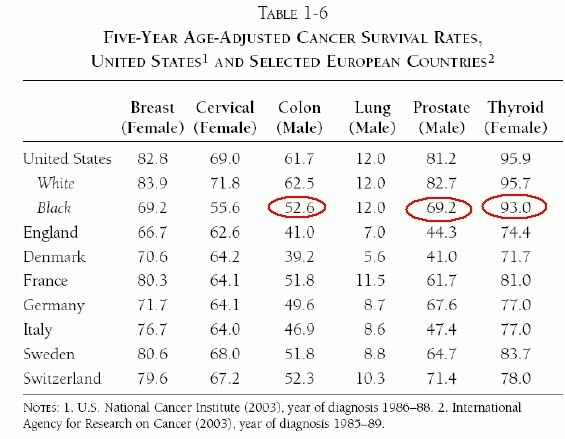 As for our blond and beautiful Nordic friends, the Swedes, they are a hard-working, small, wealthy per capita, homogenous society that has a “great” health care system. But, even Brad Wright’s article suggests their social welfare model would not necessarily work in the meritocracy that is America. In addition, Brad Wright (and The Economist) mention that even Sweden has some noteworthy problems and has to tinker with its system on occasion, “Unintended consequences [of Universal Coverage] in Sweden include increased waiting times, overuse and abuse of the relatively generous system, and inequality between county councils.” So, not the perfect utopia we usually here about. The U.S. health care system is not a system, but 50 different, experimental variations on a theme. The diversity in their approaches is a plus for America over many other wealthy countries. Individual States can create and manage their own system and if their version “fails”, then you have 49 other variations to choose from. Unlike popular myth suggests, the U.S. has an excellent, first-in-class health care service. However, it perhaps also has the bottom-of-class service for some of its citizens. In addition, it is very costly as a whole. Thus, agreed, the U.S. system needs tweaking. Primarily, the explosion of malpractice suits over the past few decades needs containing and constraining. This will rein in the common and expensive practice of “over-treating” patients just to tick boxes. The U.S. health care system needs some modernisation and improvement, but nationalised, Federally run Obamacare is unlikely the answer. Importantly, Obamacare does not attack one fundamental malaise of the current system, the excessive litigation. However, it does increase bureaucratic overheads and with its naive, centralised, implementation of a “free health care for all” philosophy, cripples the (private) insurance funding mechanism. Don’t whack the nail in with a sledge-hammer, use a hammer instead?